HARGEISA– Iraqi and Jordanian delegation on Tuesday paid a courtesy call to the Ministry of Foreign Affairs & International Cooperation premises where Dr. Sa’ad Ali Shire, the foreign minister, flanked by assistant minister greeted them upon reaching the compound. The delegation consisting of former Iraqi electricity minister, Zabhan and Sight and Sound firm based in Jordan. Mr. Doried Hamasha, head of Jordanian firm handed over to Somaliland’s FM a present. 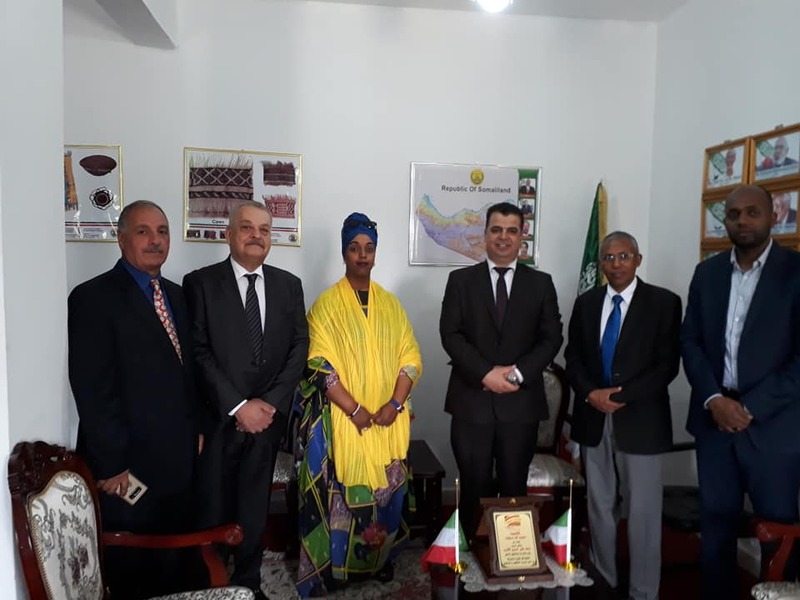 The mission behind the visit of Iraqi and Jordanian delegates is to establish bilateral ties with Somaliland. SL representative to Finland, Ms. Samia Muse brought the delegates to Somaliland.